It was an awesome way to kickstart our summer. Between the cool weather (high 60s to low 70s) that was perfect for walking around, the endless ocean views that followed us everywhere, and the friendly locals, we had an amazing family vacation. One of the best parts? There are a lot of good craft breweries, and their flagship beers all tended to be malty, Irish red ales — my absolute favorite beer style — not the stupid, over-hopped IPAs that we get here in the U.S. I’ve been to restaurants around Boston where the beer list is five different IPAs and a pilsner. I mean, come on, what the hell is that? But in Nova Scotia, anyway, the Irish red reigns supreme, and I couldn’t have been happier about it. Given the timing, it also made for good research as I was writing a piece for the Boston Globe about how to move to Canada if, you know, a certain egomaniacal sociopath wins the presidential election. So, like anywhere else I visit, I had one eye on the housing market up there. It turns out I’d have a pretty decent shot at getting permanent residency through the new(ish) Express Entry program, especially if I were offered a job, which sends your application to the top of the pile. You can buy a house in Canada regardless of your residency status, though, and you can live there up to six months of the year. However, that doesn’t entitle you to, say, send your kids to school there or receive the many perks of Canada’s social safety net, such as universal healthcare or paid parental leave. If you were to buy a home in Canada, it’s a lot like buying real estate in the U.S., with a few key differences. For one thing, you’d need to take out a mortgage from a Canadian bank, and their home loans are typically for 25 years (not the 30-year mortgages we’re used to). They also tend to adjust your interest rate every five years, instead of allowing you to lock in a fixed rate (that’s a bit scary). You’d owe some additional taxes you’ve never heard of, too, such as land transfer tax. If you purchase property as a non-resident, you’ll typically need a bigger down payment (e.g. 35%), and you should expect the government to withhold a hefty chunk of taxes if and when you sell the property later on (akin to a capital gains tax). 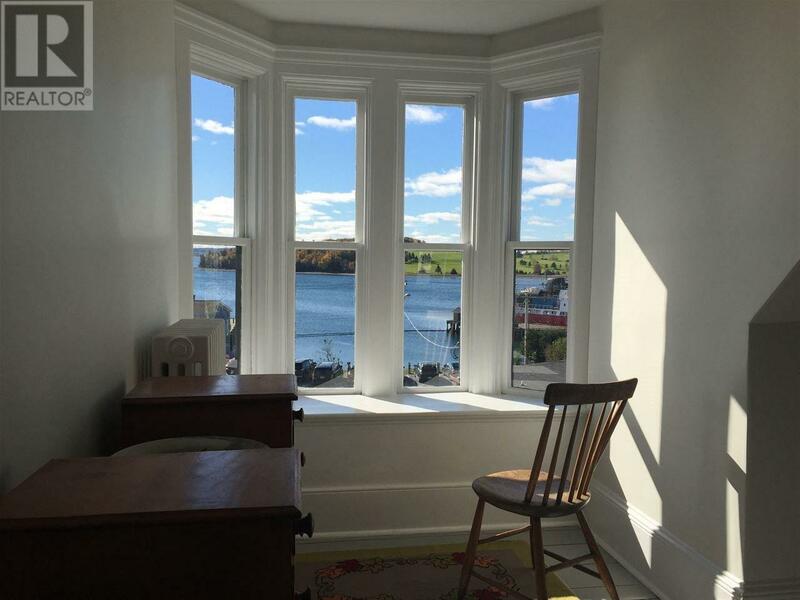 Anyway, if the election — or just the general violence and vitriol of life in the United States lately — has you worried, here’s a look at three beautiful areas in Nova Scotia, and a sampling of “Wish Listings” currently available in each one. 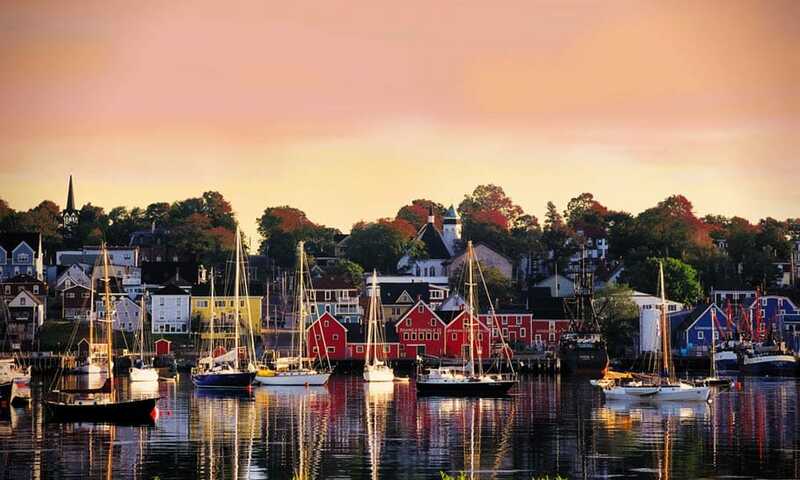 Cape Breton is an island on the northern tip of Nova Scotia (connected since the 1950s by a man-made causeway), with a huge national park, sweeping and rugged ocean views, and a heavy Celtic influence. 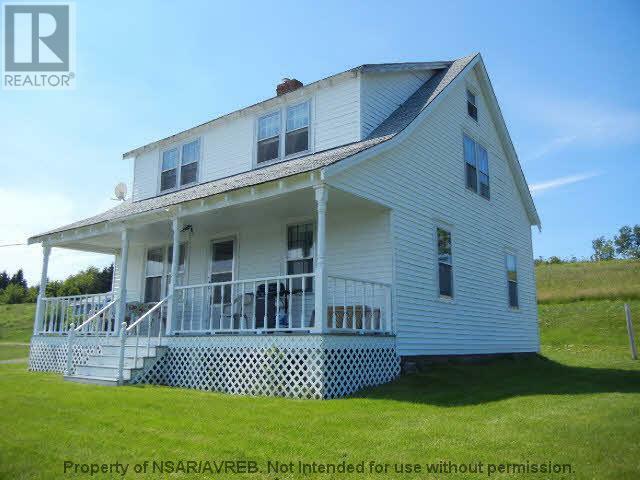 This four-bedroom, two-bathroom farmhouse overlooking St. Ann’s Bay includes 180 acres of land, with an additional small waterfront lot available. Seriously — 180 acres! It sits high up on a bluff and has a freshwater stream on the property, both of which appeal to my growing dread over the impact of global warming and general sense that society is unraveling before our eyes. 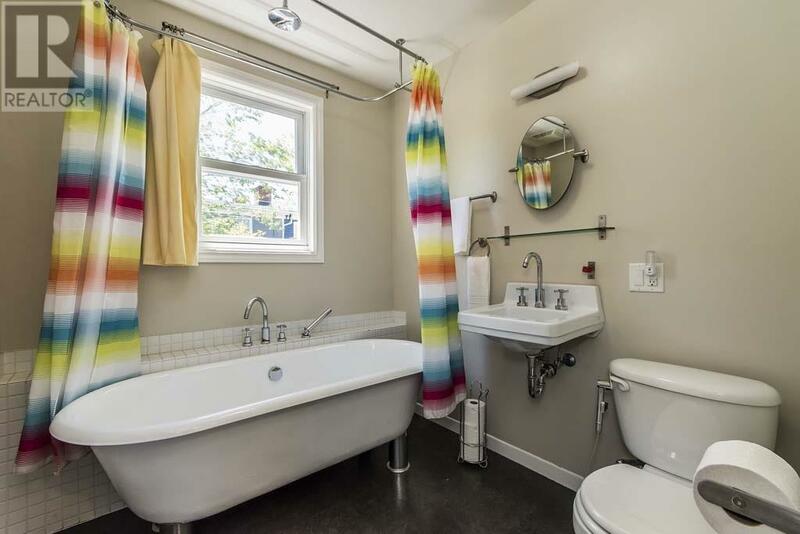 Oh, and did I mention it comes with a two-bedroom guest cottage, too? 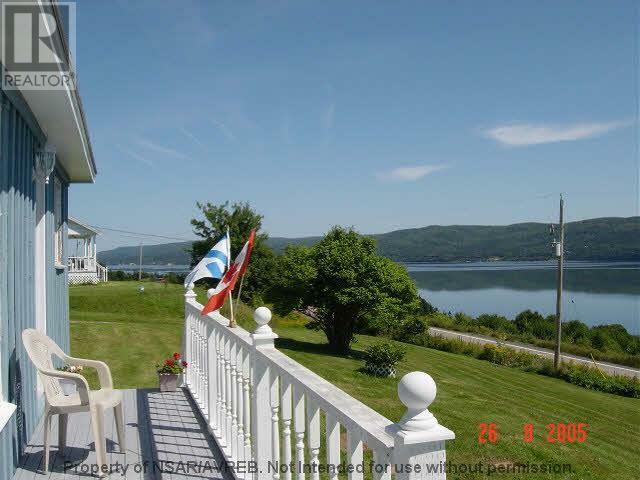 Here’s the listing on Realtor.ca. 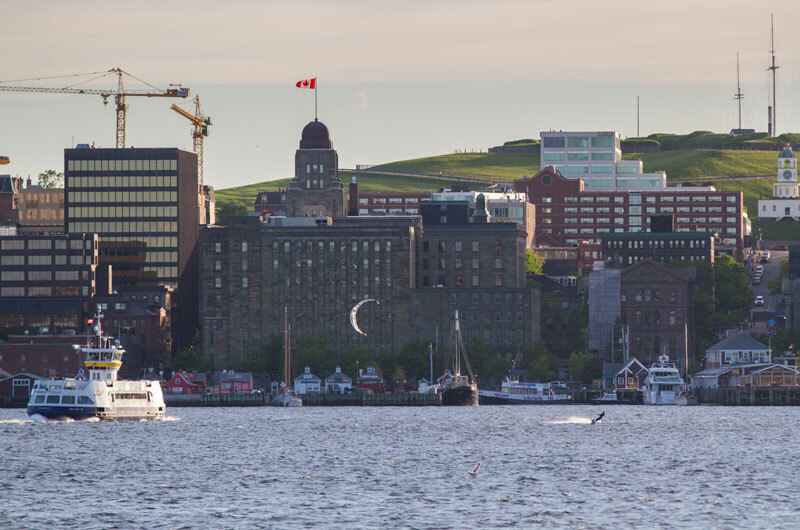 Halifax, Nova Scotia’s largest city, was a fun, lively place, full of good coffee shops and restaurants and surprisingly few chains (at least that we recognized). It reminded us of Boston, except smaller and less crowded, and the people were nicer and less pretentious. We got our history on and really enjoyed the Maritime Museum (especially Merlin) and the Citadel. There are luxurious waterfront condos for sale, and expensive (high six figures), grand homes near the city’s college campuses and public common. 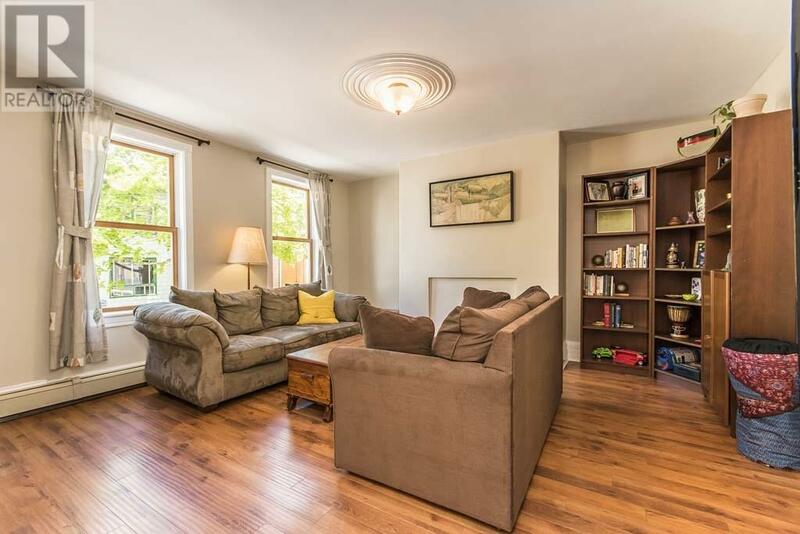 But something about this simple-looking rowhouse in one of the city’s up-and-coming neighborhoods (not the mention the price) really grabbed me. It’s got some tasteful updates inside, and also gets a WalkScore of 92 (Walker’s Paradise). The big deal-breaker here, for me at least, is the missing/decommissioned fireplace — that’s one of my huge housing pet peeves. I mean, it’s Nova Scotia – it gets cold in the winter! You want to light a fire! If I were going to buy anywhere in Nova Scotia, though, it would probably be this little seaside gem. Heavy on the charm, this culinary and architectural delight is a UNESCO World Heritage site that’s made for strolling. The harbor is an active one, full of working scallop and lobster boats (and fancy sailboats, too), and the tightly packed, brightly painted houses from the 19th and early 20th centuries rise uphill from the water in rows, like stadium seating that affords nearly everyone an ocean view. 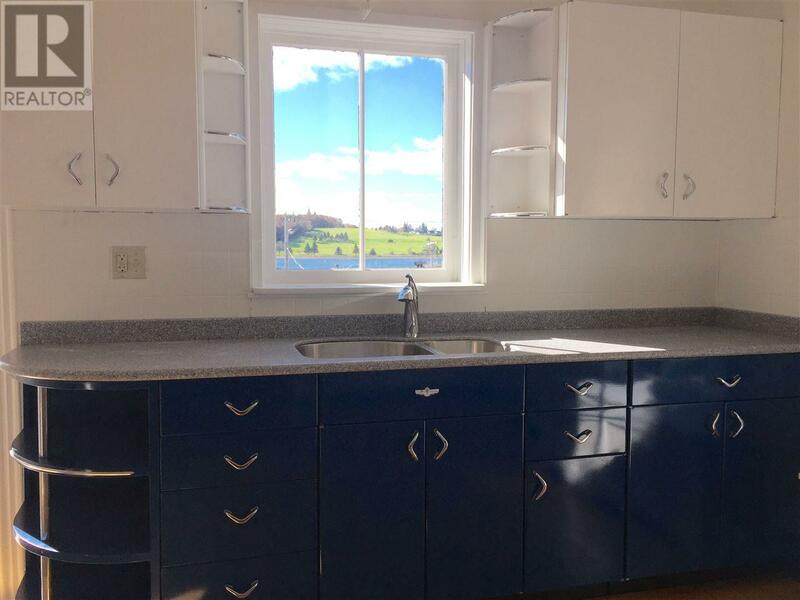 Look at the view you’d have while washing dishes! We had the best meals of our trip in Lunenburg, and simply loved walking around the town, smelling the sea air, and gawking at the cute gingerbread cottages and architectural details. It evoked the best parts of Newport, R.I., but without all the rich douchebags. 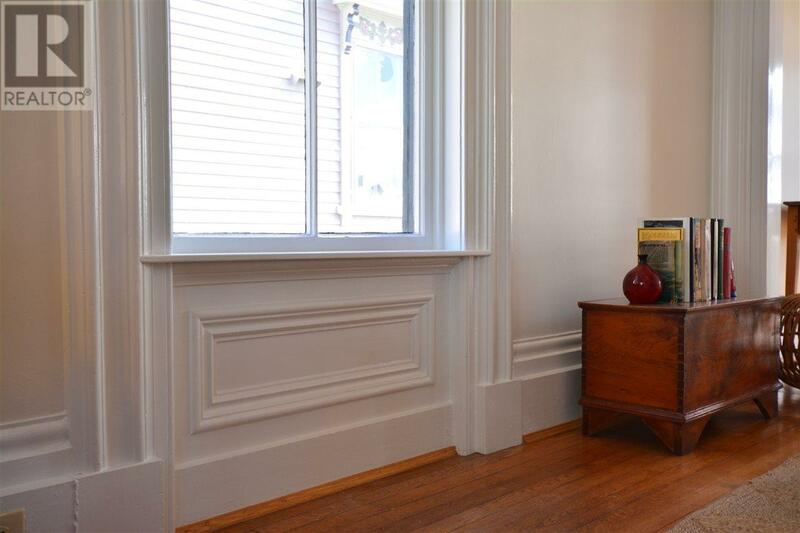 Detailed wall paneling and wood floors, swoon. 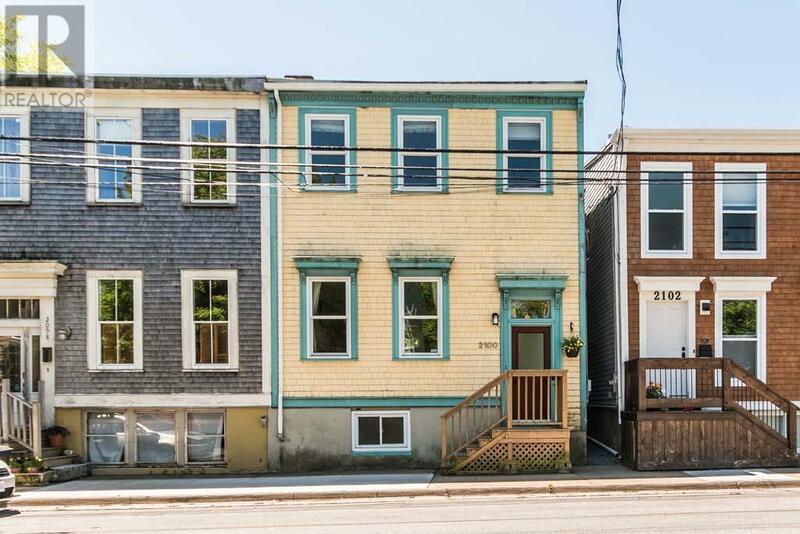 This three-bedroom house, built in 1888, is just a block from the water with plenty of ocean views (as you can see) and historic details typical to most of the houses in town. 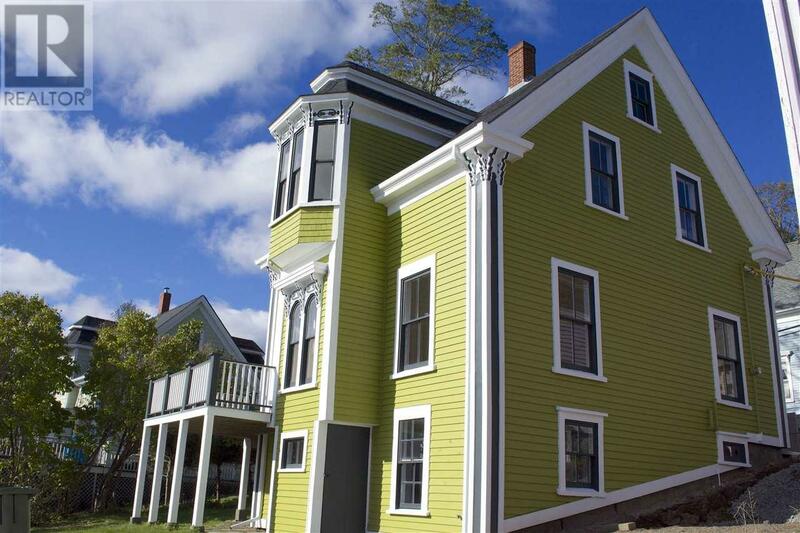 One thing we learned is that, because of the UNESCO designation, you’re not allowed to replace a home’s wood siding with, say, vinyl or aluminum, if you’re in the historic downtown district. Not a bad view from your in-town bedroom, eh? But painting some wood clapboard every few years seems a small price to pay for a view like that.